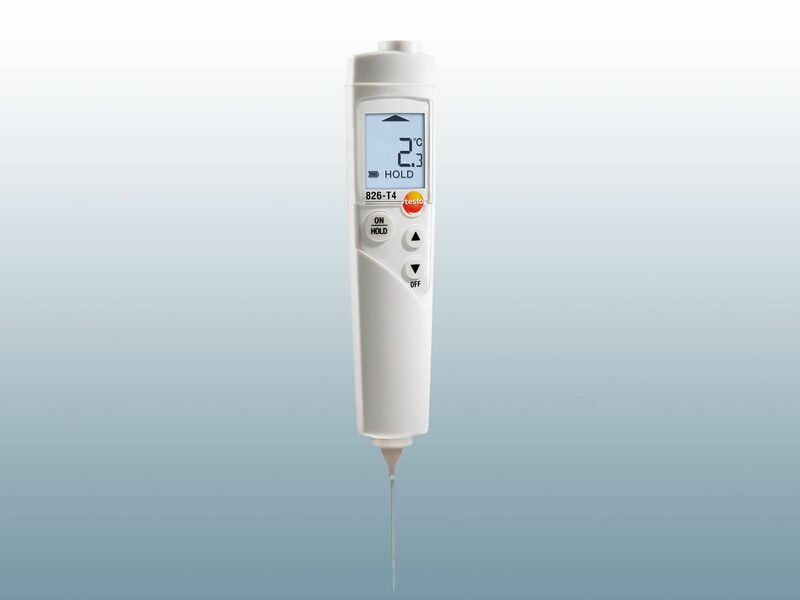 Probe thermometers are designed specifically for measurement in liquids and viscoplastic media (meat, fish, dough, etc.). 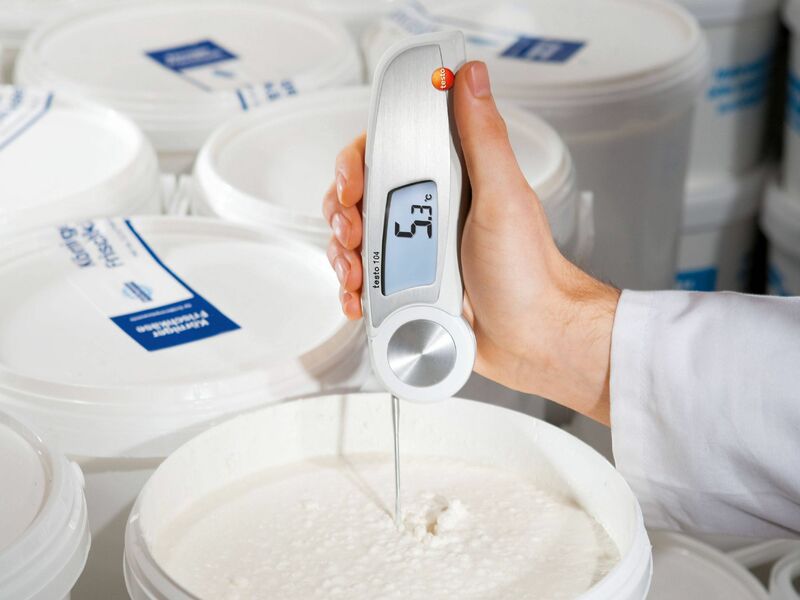 For instance, insertion into yoghurt or milk packaging enables the real core temperature of the product to be determined. 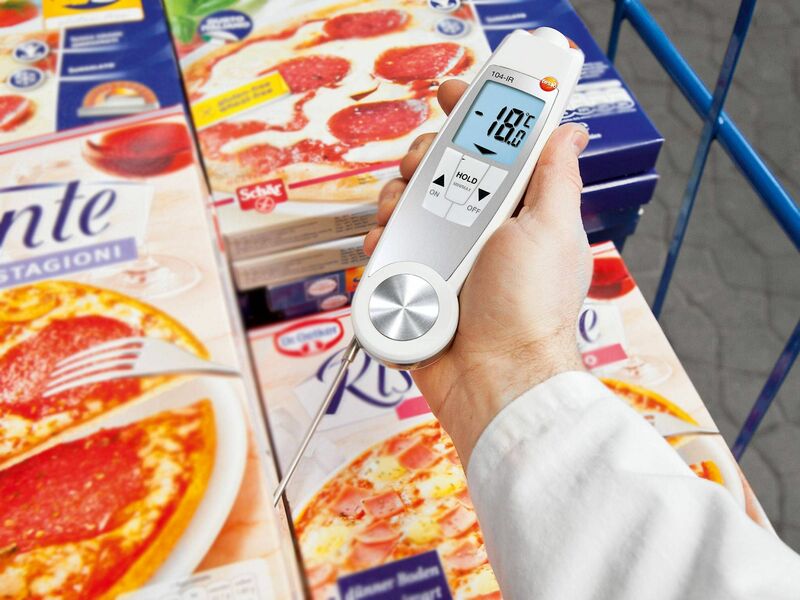 This measuring method is very accurate and reliable and is therefore a good method for making an absolutely certain statement about the temperature status of the goods. However, the disadvantage is that a product that has been "pierced" can no longer be sold and therefore must either be processed as quickly as possible or disposed of. These probes can however be used to take air measurements as well, if the measuring instrument is given sufficient time to adjust to the air temperature. Practical: penetration probes can always be used as immersion probes too. In this way, the insertion thermometer becomes an immersion thermometer. 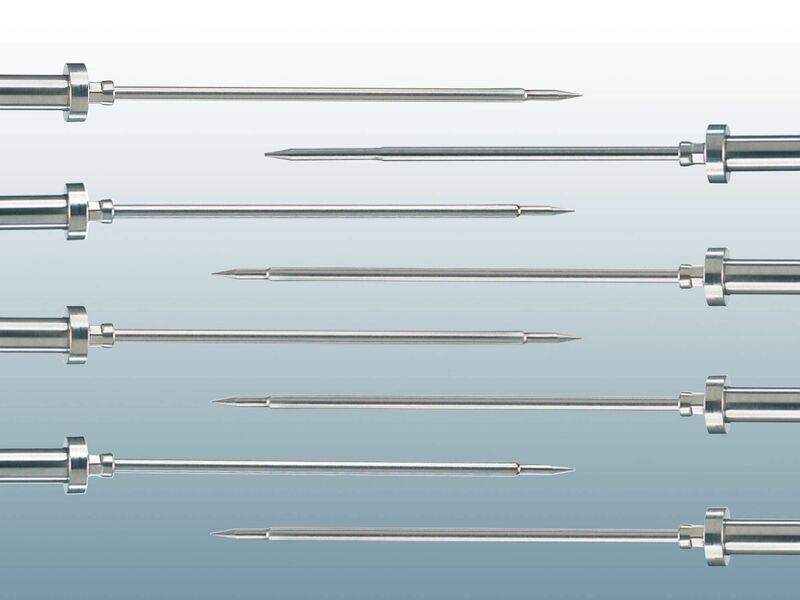 For core temperature and penetration measurements in semi-solid and solid substances. 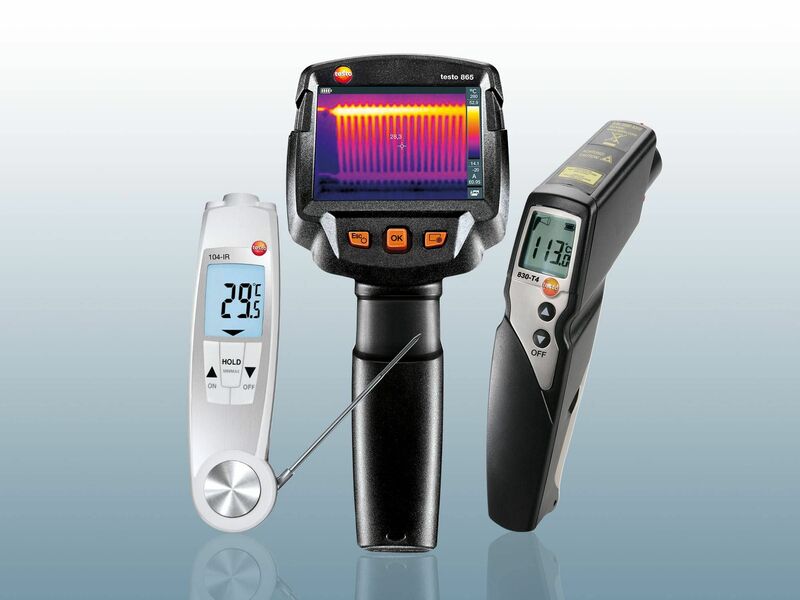 The all-rounder for surface and core temperature measurements. Ideal for incoming goods. When you do not just want to measure core temperatures, but also surface or air temperatures. Large selection of different models – customized products are also possible. For measurements with a probe thermometer, the temperature probe is inserted directly into the measurement object. The measurement is finished when the so-called t99 time is reached. That is the time which a probe needs to achieve 99% of its final value. The 90% value is achieved considerably sooner, but it takes just as long again to get from the 90% value to the 99% value. All data concerning the acclimatization time of temperature probes in Testo documents refer to the t99 time. A measurement error that frequently occurs with temperature measurement is that the temperature probe and the measurement object have different temperatures. This means either heat is supplied to the measurement object (probe warmer) or taken from it (probe colder) – and therefore energy as well. And the real temperature is no longer measured due to the energy extraction. However, this measurement error can be minimized by choosing a penetration depth of 10 to 15 times the diameter of the probe. For immersion measurements in liquids, the measurement error can also be reduced by the liquid being constantly kept in motion. 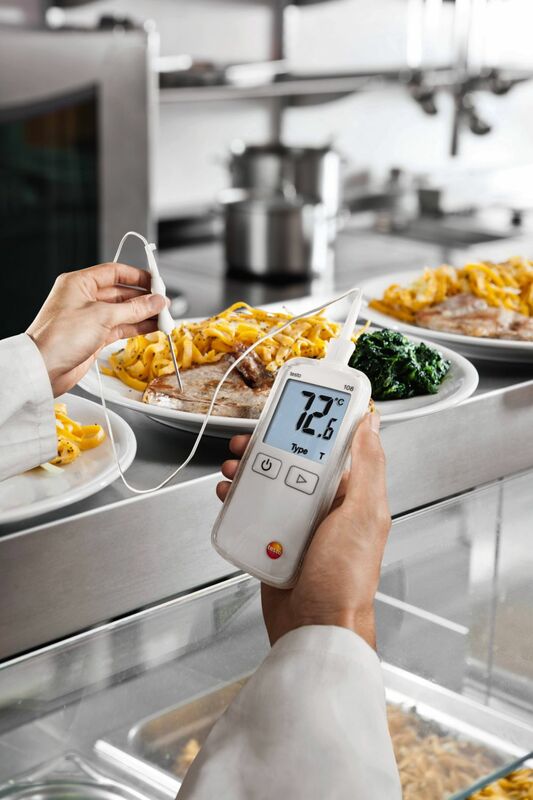 This measurement error also occurs when using a food probe to measure foods, especially frozen goods, but it can be avoided through a sufficient penetration depth. 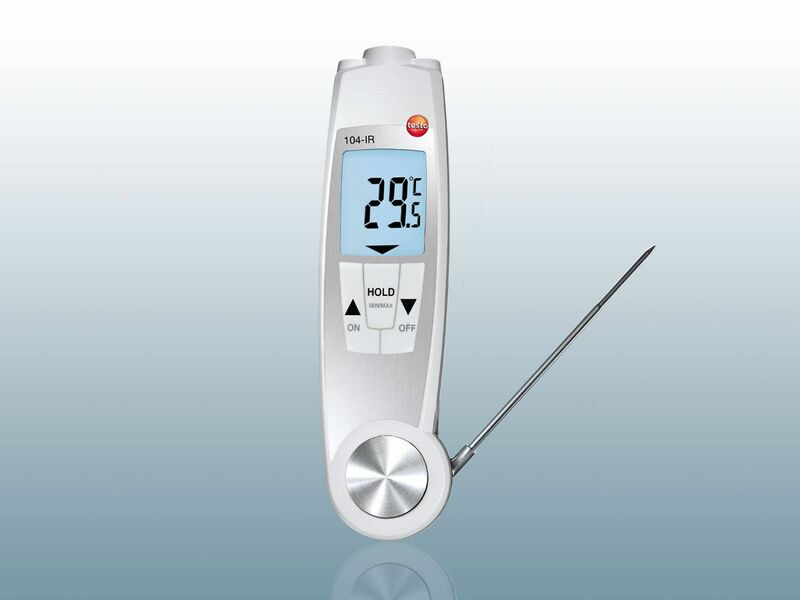 Reliable and fast temperature measurement with an insertion thermometer is of particular importance in the food sector. However, in addition to core temperature measurements, it is also a case here of the non-contact measurement of surface temperatures. 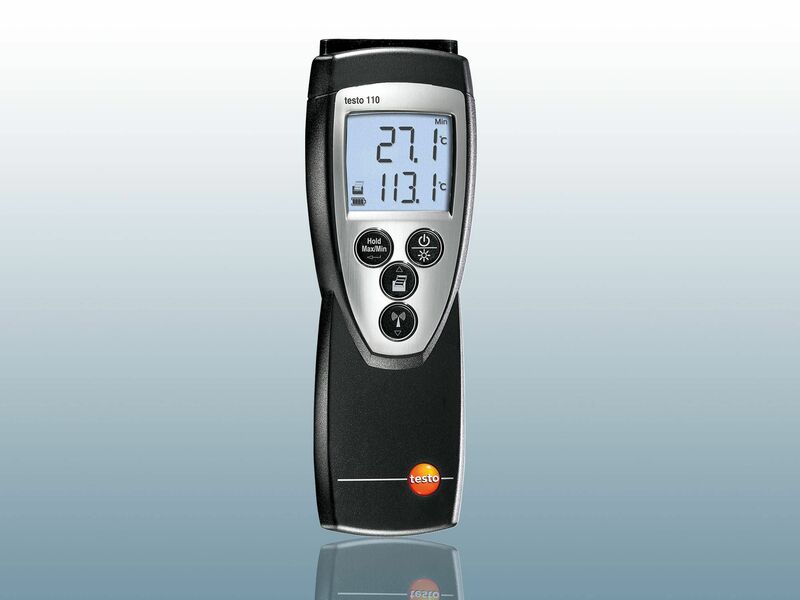 The testo 104-IR BT combined instrument was specifically developed for this. It combines penetration and infrared thermometers in a compact format. particularly robust construction and handy format – when folded away, it fits into any shirt pocket. For many applications, it is not enough just to measure temperatures. The temperature must be recorded as a time progression, especially for the storage of sensitive goods, such as food. Temperature data loggers are suitable for this. Unobtrusively attached to the wall, they measure and document temperatures and other ambient conditions at freely selectable intervals. 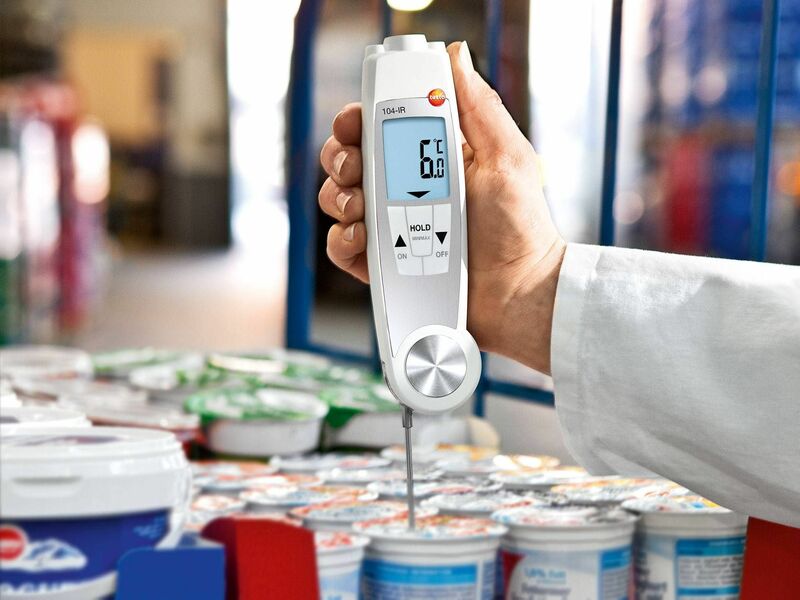 With temperature measuring strips and an appropriate surface temperature meter, you can quickly record the surface temperature of a measurement object. Ideal if direct contact with the object does not present a problem. Infrared thermometers are perfect for the non-contact measurement of temperatures from a distance. The Smart Probes are in turn available for a wide variety of measuring tasks. The main attraction for you: they are operated entirely via your smartphone/tablet and the testo Smart Probes App.